A black Japanese Akoya set makes the perfect git for your mother, fiancé, wife or daughter, as all women look amazing when they wear pearls. They are a timeless symbol of elegance that women are able to wear time and time again. But when it comes to choosing the perfect black Japanese Akoya pearl set this could prove slightly overwhelming as there are quite a few criteria that will need to be met. So take a look at our tips and let us help you with making your choice. When it comes to choosing the right type of pearl set this can prove quite difficult as it needs to fall in line with the personality of the person who will receive it, as well as the occasion it is intended for. Below are the main types of pearl sets that you can choose from. 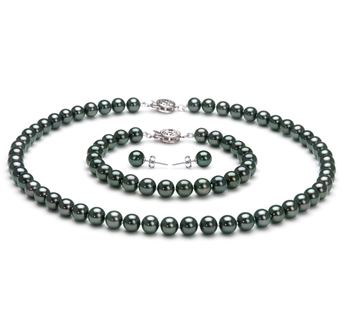 With this type of black Japanese Akoya set, the ring, necklace, and earrings each come with just a single pearl that are all the same color. These are the kinds of sets that women can wear in both casual and formal settings, as they are so very versatile. 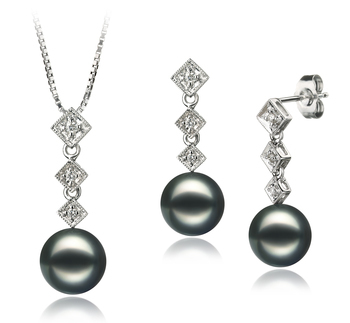 Very similar in many ways to the single pearl set, but the diamonds or the cubic zirconia gemstones provide a boost of refinement to the whole set. A woman will be able to wear her black Japanese Akoya pearl set alongside business attire, as well as can be worn to more high-class elegant events. This is what many women see as the classic pearl set. It isn’t only timeless but also ageless and will perfectly help to accentuate a woman’s femininity when being worn. 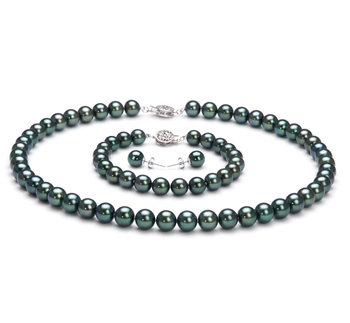 These types of black Japanese Akoya sets come with a mono-stranded necklace, bracelet, and single pearl earrings. 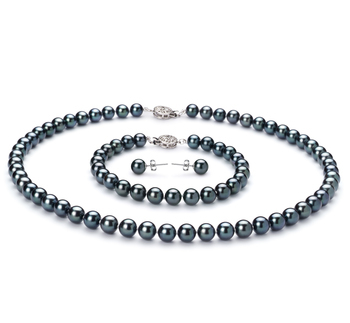 This is the most elegant of all the sets we offer in our collection of black Japanese Akoya pearl sets. The set comprises a necklace, bracelet, and earrings and is the perfect accessory for a woman to wear to any formal party. 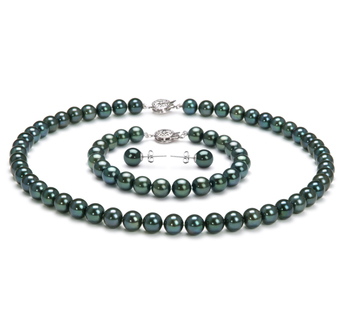 Any woman who wears such a pearl set will look effortlessly poised and elegant.